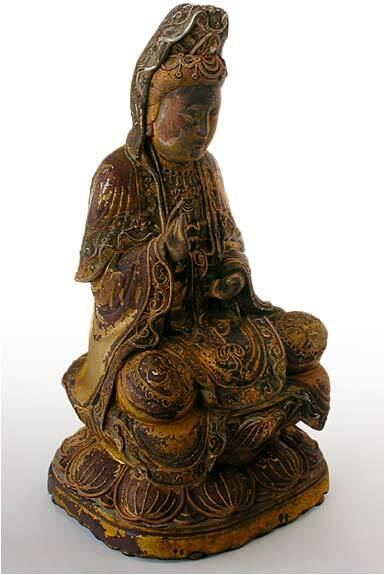 Quan Yin is the Goddess of Compassion, and she is one of the most popular deities in all of Asia. 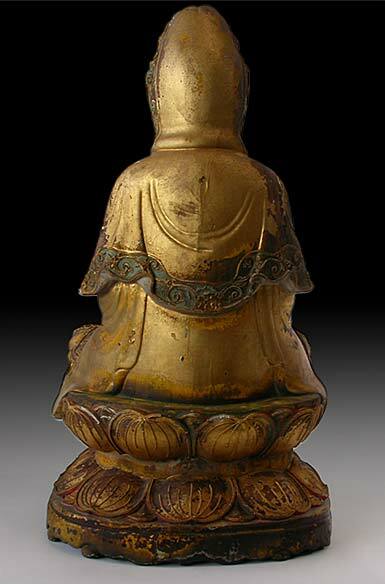 The name Kuan Yin in Chinese roughly translates as "The One Who Hears the Cries of the World." 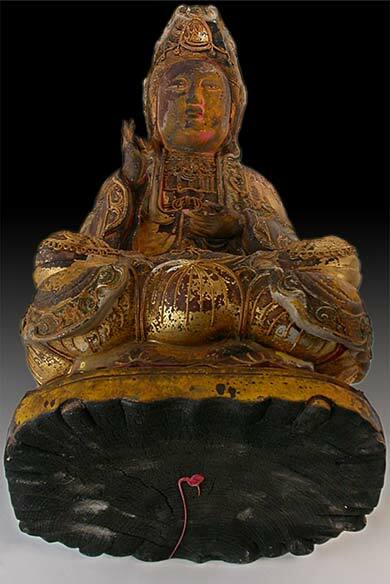 She has 33 different manifestations, one of the Bodhisattvas attending the Buddha Amitabha, and is usually represented with a small image of Amitabha in her crown. 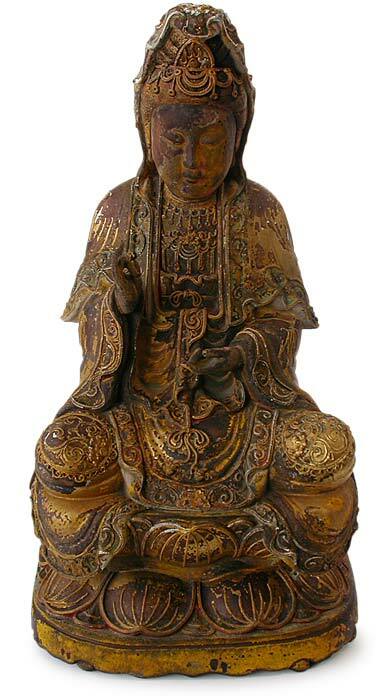 Exquisitely carved from a single block of camphor wood, using a unique Chinese formula of gesso and saw-dust mixture, the statue is meticulously detailed with ultra fine embossed motifs, and ornamental jewel chains that festoon the edges of her robes. The application of gold foil and lacquer; with layers of gilt and polychrome finish create an effect reminiscent of gilt bronze sculpture. Such elaborate design can be traced back to the Daoist influence of the Qing eras (1644-1911 A.D.). 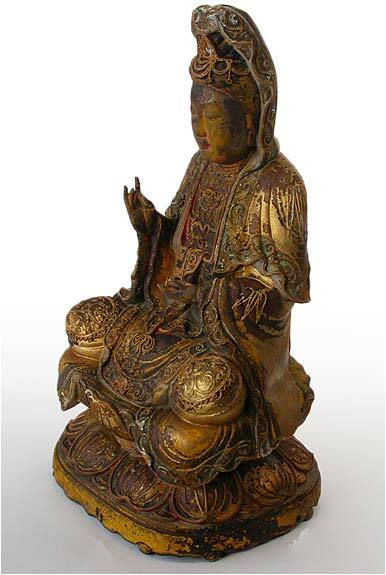 However, judging from the warm and benevolent expression of her features, arrangements of her parallel hairlines that framed her moon shaped face, and the symmetrical treatments of the drapery, the style of this Avalokiteshvara Kuan Yin in teaching mudras is an original Chinese design established since the Tang Dynasty (618-906 A.D.), at a time before the considerably more rigid influence of Tibetan Buddhist arts.